Anyways, with over 100 members now, forums to look after, and a fan from Sony, we are in need of a new commander. The views stated in this post ARE OFFICIALLY LAW by Heckboy88, Commander Supream of Team EPIC! Location : Yeah, you wish you knew :P USA. No wai! If I can (which I now can? ) I would love to help in this position. I'm full of teh Ideaz! Alright. Thank you very much, Sir. Oh yea, and I promoted you to MOD Fishrock. Thanks for helping out here! Your welcome. Again, Glad to be of assistance. Fishrock123 wrote: Your welcome. Again, Glad to be of assistance. Yea, we all kind of work on a system of trust here. However, I wouldn't edit another mod/admin's post unless you have a good reason to. Just found it kind of... well, Odd. Fishrock123 wrote: Just found it kind of... well, Odd. Well, not everyone can do it, only mods/admins. 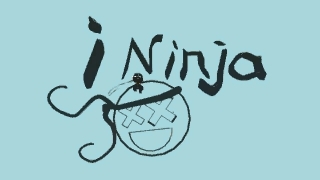 Btw HB88, Try not to get too vengefull about my Sig, I like ninjas aswell. Gratz Fish, I shall add you, so we can create sometime okay? "Nothing is true, everything is permitted. Laws rise not from Divinity but reason. NivekKom wrote: Gratz Fish, I shall add you, so we can create sometime okay? Sure, But time zones might conflict a bit..
Ha! Congratz fish! Welcome to the commanderhood of awesomeness! Jump to: Select a forum||--All Things EPIC| |--News & Announcements| |--Team EPIC Groups| |--General Discussion| |--Off-Topic| |--Create| |--This is What I'm Making| |--Need Help?| |--Share |--Look What I Made!